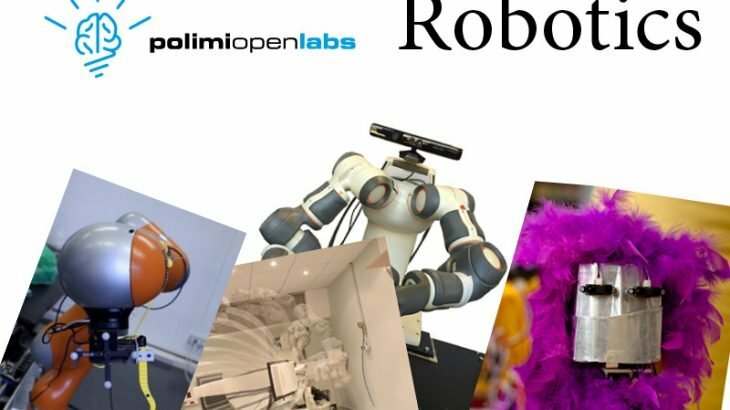 2.00 pm - DEIB Building 20, Conference Room "E. Gatti"
In the framework of the European Robotics Week the Politecnico di Milano opens the robotics labs to the public. The European Robotics Week offers every year one week of various robotics related activities across Europe for the general public, highlighting the growing importance of robotics in a wide variety of application areas. The Week also aims at inspiring technology education in students of all ages to pursue careers in STEM (science, technology, engineering and math) related fields. AIRLab: the Artificial Intelligence and Robotics Lab is specialized in the field of Artificial Intelligence, Autonomous Robotics and Bio-mimetic and Computer Vision. CartCasLab: the Computer Assisted RadioTherapy and Surgery Laboratory is responsible for Surgery planning, Radiosurgery and Imaging therapy with robotic holder. MERLIN: the MEchatronics and Robotics Laboratory for INnovation is active in the fields of Mechatronics, Industrial Robotics and Movement Control. M&SSLab: the Mechatronics & Smart Structures Lab develops innovative solutions in the field of Mechatronics and Industrial Robotics. NearLab: the NeuroEngineering and Medical Robotics Laboratory deals mainly with Surgery and Rehabilitation Robotics. VPLab: the Virtual Prototyping Laboratory is active in the field of Development and Testing of Virtual Prototypes for Industrial Robotics. Participation is free after registration at link.